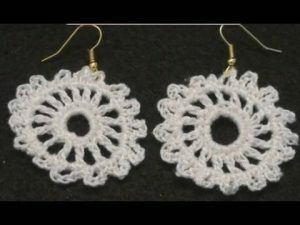 Earrings are one of the most preferred accessories among girls, even those who are not interested in decking themselves up too much. 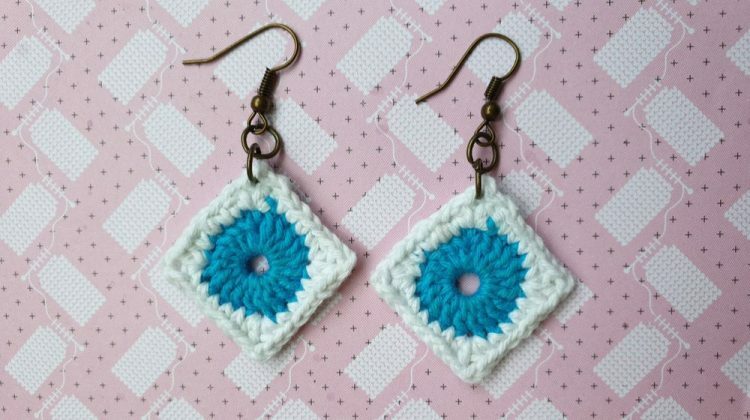 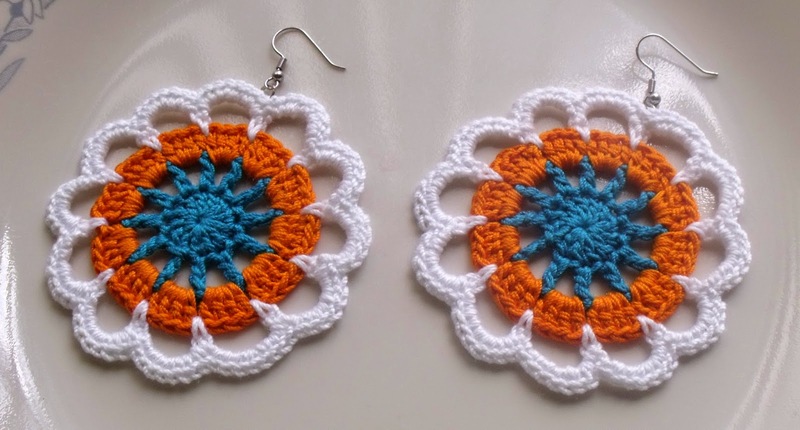 If you have just started learning the art of crocheting, try your hands at making colorful and innovative earrings for yourself for everyday use as well as special occasions. 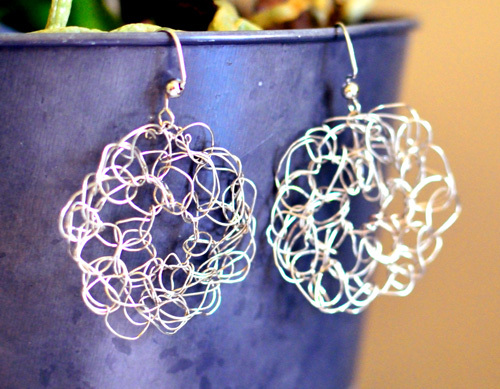 Following these simple tutorials, you will have a bunch of new designs handy. 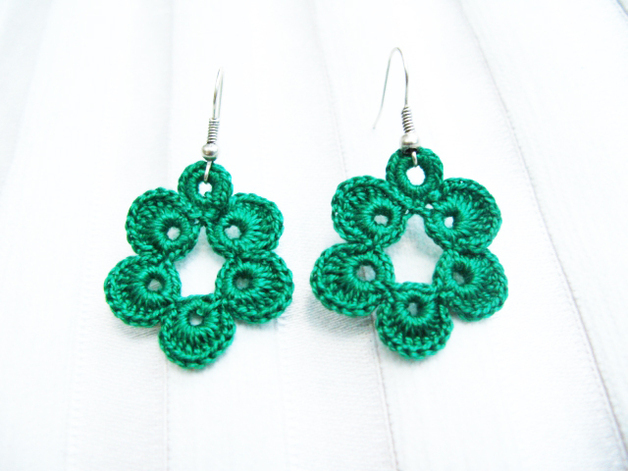 Once you are able to crochet with ease, try your hands at these vibrant fan-shaped earrings. 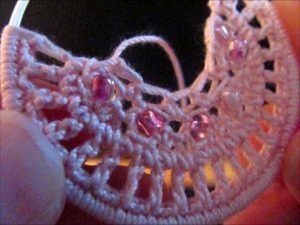 A big bead may be attached at the bottom to add to its elegance. 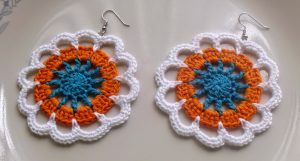 The mixing of two colors adds creativity to these earrings. 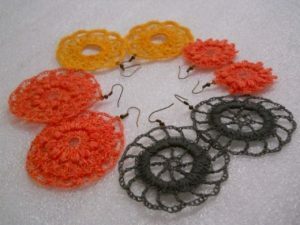 If you plan to crochet a similar design for your little girl, blend red and orange together to get a lively look. The colorful beads inserted in this hoop earring give it a gorgeous look. 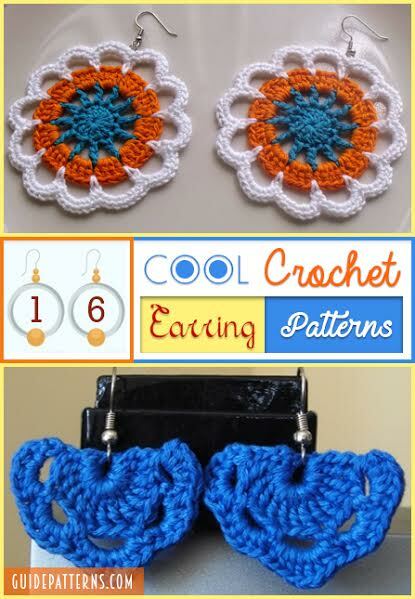 Being quite suitable for beginner crocheters, you can make a pair in each color to match them with your favorite outfits. 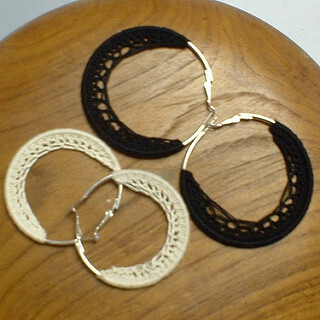 You can go for bigger hoops if you are planning to choose it as your party accessory. 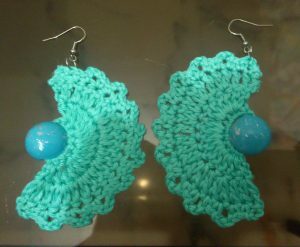 These big puffy earrings are too attractive for you to take your eyes off it. 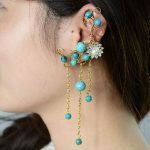 You can attach a matching colored bead in the hole to make your ring look unique and classy. 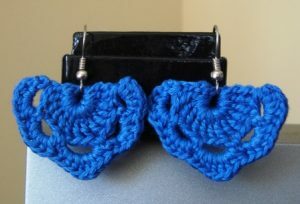 The easy steps mentioned in the tutorial will help you make this pretty earring in blue and purple. 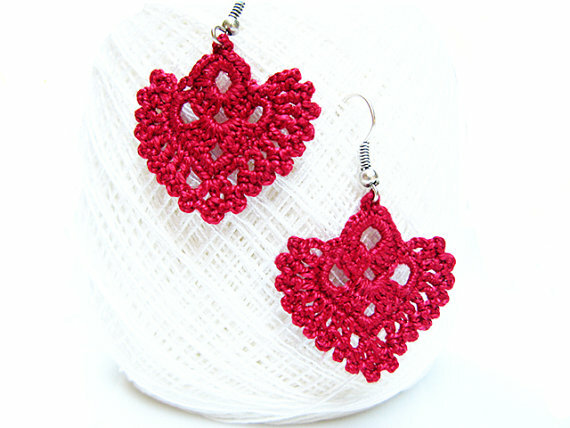 You can use contrasting colors to make your earring look bright and attractive. The crescent-shaped design of these earrings with a bead at the center is classy indeed, surely adding a difference to your look. The big loops attached to the red earring make it a perfect party accessory. You can arrange the beads at random rather than going by the uniform pattern shown here. 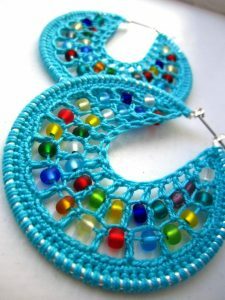 Multi-colored beads might also be used if you want your earring to be cool and funky. These beautiful white earrings will be a wonderful match for your tea-length wedding gown. 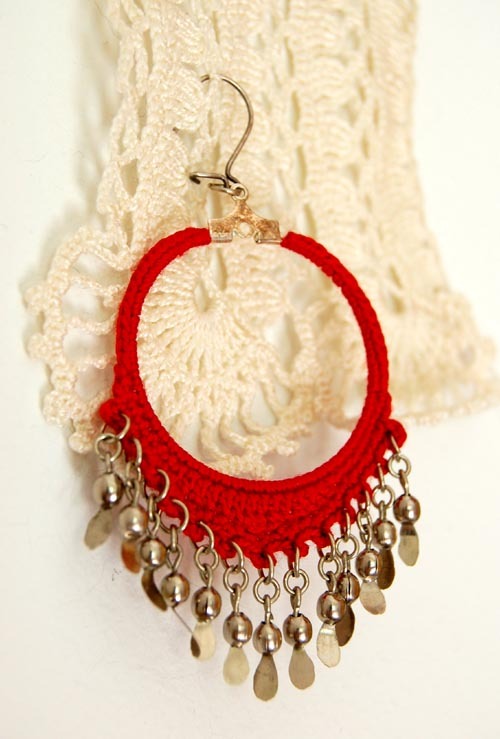 Complete the crochet set by pairing it with a white crochet necklace and bracelet. 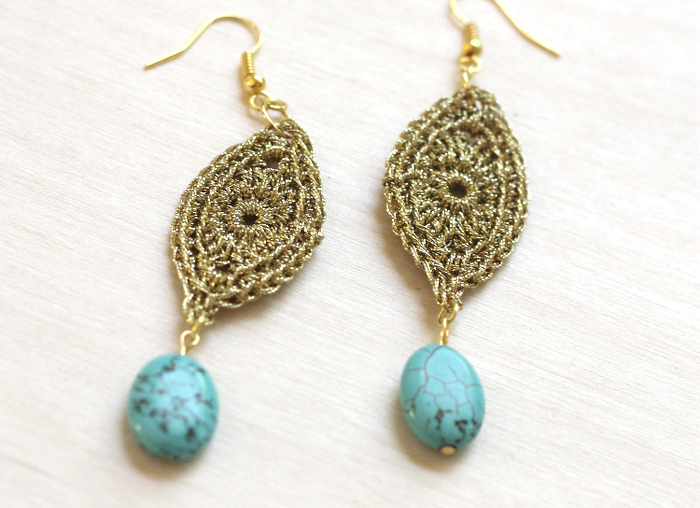 Check out this unique style of earring made of golden thread; a perfect option for gifting your friend to make her feel special. 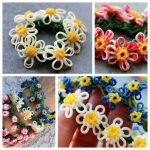 To create these beautiful flowers, you will need a certain level of expertise in the art of crocheting. You can crochet just a big flower with a bead in the middle if you find making all the three circles a little difficult. Well, so here you have a complete collection of colorful earrings to be your companion to any occasion. 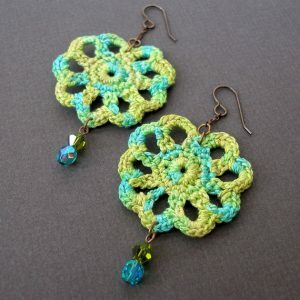 Make good use of the lazy summer months or weekends in learning this creative crochet handiwork.